You are about to leave the house when you realize that your car keys are missing. And no matter how much you try, you are unable to recollect where you kept them the other night. Or, you forget why you walked into a room. Does any of this happen to you a lot? Memory loss is an inevitable part of aging. If you tend to forget things that took place just a few hours back, chances are that you could be experiencing short-term memory loss. The first thought that may come to your mind is that it could be Alzheimer’s disease (AD). However, not all cases of memory loss are a result of AD. To find out more about short-term memory loss, its causes, and treatment options, read on. What Causes Short-Term Memory Loss And Forgetfulness? Short-term memory loss is a condition in which the individual in question tends to forget things they saw, heard, or did recently. When your brain processes and stores small pieces of information that it has just taken in, it is referred to as short-term memory. While short-term memory loss is quite inevitable in the aging lot, it can also be triggered by a deeper issue like dementia, an injury to the brain, or a mental disorder. Before getting into the details, let us understand the difference between short-term and long-term memory loss. The main differences between short and long-term memory loss are as follows. The affected person ends up forgetting things that were done a short while back, i.e., what they had for breakfast or watched the previous night. It is a part of normal aging. It could be a result of other underlying medical conditions like Alzheimer’s disease. Its main symptom is forgetting recent activities or things. The affected individual has trouble recalling memories when they need it. Such memories could be weeks, months, or even years old. Like short-term memory loss, long-term memory loss is also a part of aging. It can also be caused by underlying conditions like Alzheimer’s disease. Its main symptom is forgetting things that took place earlier in your life. Let’s now look into the factors that are quite commonly held responsible for triggering short-term memory loss. Advancing age – It is more common in older adults. Short-term memory loss is also often associated with the following symptoms. If you notice any of these symptoms, it is best to get an appointment with a doctor to get yourself diagnosed correctly. Your doctor will start by asking questions about your symptoms. They may also want to know how long you have been experiencing these symptoms and about your medical history and lifestyle. A general physical examination may follow this. A blood test may also be ordered to test for other underlying conditions. To check if there is a physical cause to the memory loss, your doctor may also suggest an MRI or CT scan of your brain. Depending on what has been triggering the short-term memory loss, your doctor may then refer you to a specialist for further testing and treatment. It is better to diagnose the cause of short-term memory loss as soon as possible to prevent further complications from the condition. We can conclude that individuals experiencing short-term memory loss must not be left alone as it has the potential to become life-threatening. There is a range of medical treatments available to combat short-term memory loss. However, these treatments vary depending on the cause of the condition. Medications to treat clots, surgery, cancer therapy, and cognitive therapy are the most popular approaches when it comes to getting rid of memory loss caused by serious underlying medical conditions like cancer or blood clots in the brain. In some cases, nutrient deficiencies could also be responsible for triggering short-term memory loss. Restoring the deficient nutrient can help with memory loss. There are also a few natural remedies that are known to enhance your cognitive functions, which may also be beneficial in treating the symptoms of short-term memory loss. They are as follows. Add one to two teaspoons of ginkgo biloba tea leaves to a cup of water. Turn off the stove and allow the tea to cool a bit. 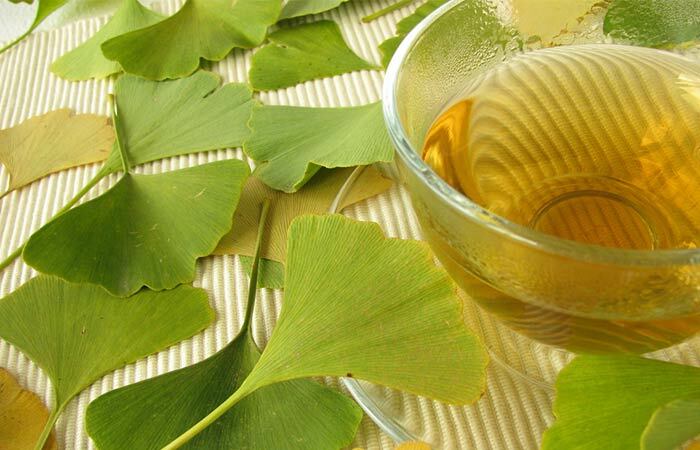 According to a study published in the journal Frontiers in Aging Neuroscience, ginkgo biloba extracts were found to improve cognitive function as well as symptoms of mild cognitive impairment and dementia (1). Hence, it may also be beneficial for short-term memory loss. Consume an omega-3 supplement daily. Consult a doctor to know the correct dosage of the supplement for you. Omega-3 supplements exhibit protective effects in cases of dementia and mild cognitive impairment (2). They can, therefore, also improve short-term memory loss in the affected individuals. 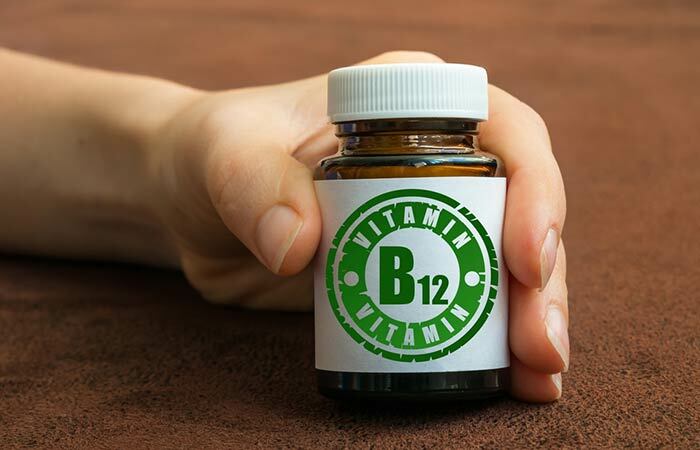 Consume a vitamin B12 supplement daily. Make sure you consult a doctor for the correct dosage. You may take this supplement daily for a prescribed period. Vitamin B12 deficiencies are often associated with symptoms of memory loss in older adults (3). Thus, restoring this deficiency may help enhance cognitive function in the affected individuals. 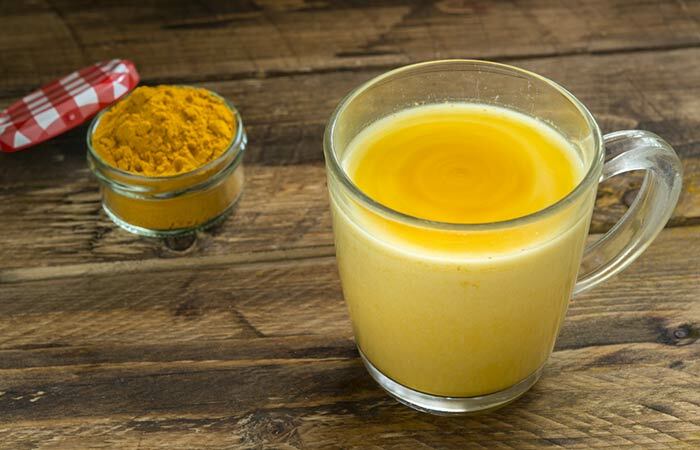 Add a teaspoon of turmeric powder to a glass of hot milk and stir well. You may do this once every night. The main active component of turmeric is curcumin. Curcumin may help reduce or reverse the symptoms of memory impairment (4). Hence, this remedy is a great option for treating short-term memory loss. While these remedies work their magic, here are a few tips that may help prevent short-term memory loss. Solve puzzles and do other activities that challenge your brain. Reduce distractions by eliminating clutter in your home. Create a to-do list and stick to schedules. Most often than not, short-term memory loss is part and parcel of aging and quite common. It usually doesn’t create many issues in the affected individual as it doesn’t interfere with their ability to function independently. However, if your short-term memory loss is a result of an underlying medical issue, it is highly recommended that you avail medical treatment for your condition immediately for effective results. Do not wait to consult a doctor if you feel that this condition is interrupting your daily life. 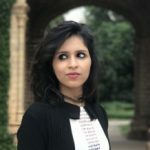 Was this post helpful? Tell us in the comments box below. How to help someone with short term memory loss? • Being flexible and patient. • Helping the affected individual remember details by breaking down new activities into simpler steps. • Providing more verbal cues rather than asking questions. • Writing important things down on a paper. • Not leaving them alone. No, having a memory problem doesn’t always mean that the individual has Alzheimer’s disease. Aging, other underlying health problems, cognitive issues, or dementia could also be triggering the problems with memory. Is short-term memory loss serious? Most cases of short-term memory loss are a result of advancing age and are thus not so serious. However, if underlying conditions like dementia or an injury to the brain is the cause of the memory issue, it may lead to further complications if treatment is not availed on time. Can stress and anxiety cause forgetfulness? Yes, mental disorders like stress, depression, and anxiety can trigger forgetfulness, difficulty in concentrating, confusion, and other cognitive problems. 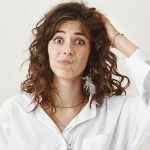 When to see a doctor for short-term memory loss? See a doctor if the progressing short-term memory loss concerns you and if you want to avail treatment for it. 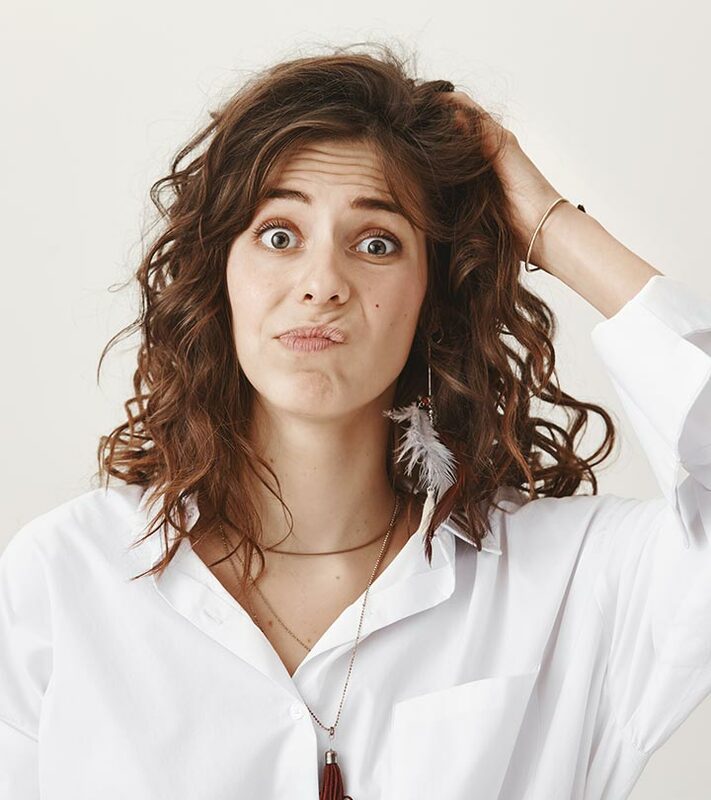 This is especially if the symptoms end up interfering with your day-to-day life or if you exhibit additional symptoms that be an indication of some underlying medical condition. “An Overview of Systematic Reviews of Ginkgo biloba Extracts for Mild Cognitive Impairment and Dementia” Frontiers in Aging Neuroscience, US National Library of Medicine. 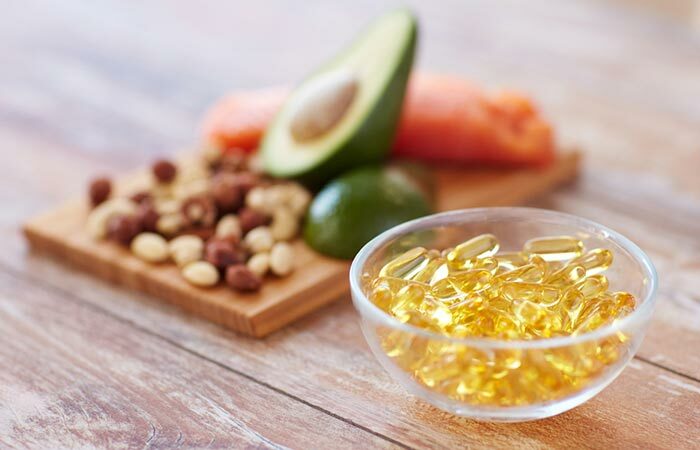 “Contribution of omega-3 fatty acids for memory and cognitive function” Nutricion Hospitalaria, US National Library of Medicine. “Neuropsychology of vitamin B12 deficiency in elderly dementia patients and control subjects.” Description Journal of Geriatric Psychiatry and Neurology, US National Library of Medicine. “Effect of curcumin on memory impairment: A systematic review.” Phytomedicine, US National Library of Medicine.